Sir: I was very pleased to see that your poetry editor chose four haiku for the Daily Poem today (16 April). 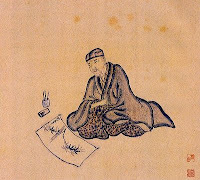 Although this literary form is one of the oldest in the world and has been practised in the West since the beginning of this century, there are still those who believe it can play no part other than in the Japanese poetry tradition. James Kirkup is a skilled writer of haiku and has played a key part in bringing this genre to a wider audience in the West, but while I have great respect for him on both these counts I take issue with his statement that every haiku should have 17 syllables. As a member of the British Haiku Society I am as concerned as anyone that the essence of haiku should not become diluted as it becomes more widely practised. But concentration on the 5-7-5 syllable count of haiku is misleading and obscures other important features of this form - a certain flexibility where appropriate can serve the spirit of haiku more faithfully than a rigid adherence to the "rules" at all times. The syllable count in haiku is often misunderstood. Japanese poets do not count syllables, they count onji. This word means "sound symbol" and is much shorter than the English syllable and much more uniform in length. Approximately 12 English syllables best duplicates the length of Japanese haiku in the traditional form of 17 onji. Business is risky. So how well do you understand and manage the risks you face every day? A Short Guide to Facilitating Risk Management sets out a practical approach to anticipate what could go wrong and has some great tips for risk management facilitation. 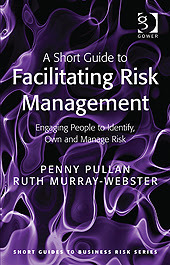 Illustrated with examples from the authors' experience and their findings from interviews and surveys, this new book differs from the usual guide to risk management in that it is not just about risk 'mitigation' but puts the emphasis on risk ownership. In their research the authors found that all too often it is tricky to find out who is being paid to really care about a particular risk. There is also very useful guidance on facilitating risk workshops, which can provide an effective basis for managing and prioritising risk - a 'must read' for anyone who wants to help their business avoid expensive surprises.